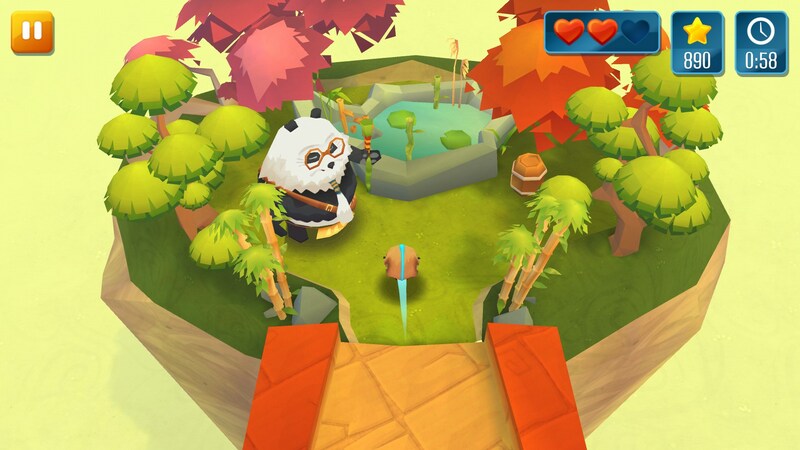 Momonga Pinball Adventures – Games for Android 2018. 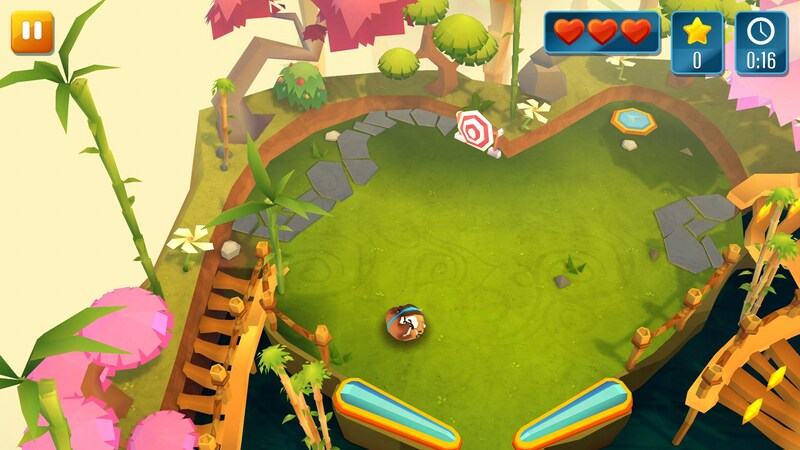 Momonga Pinball Adventures – Out-of-the-box arcade action game about a flying squirrel. 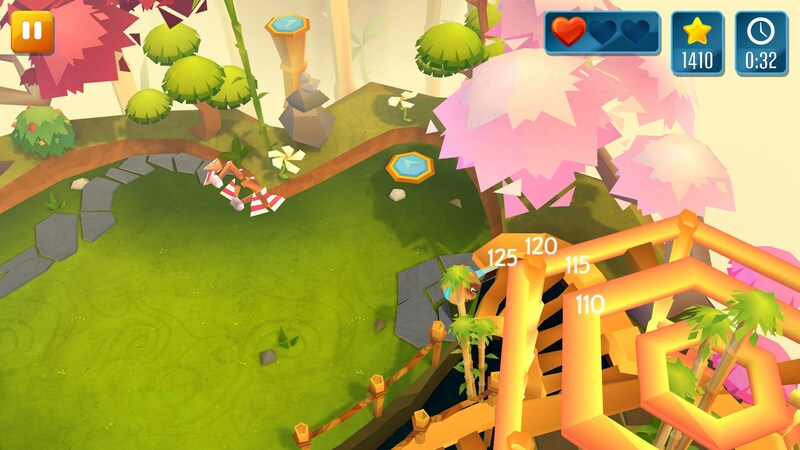 Momonga Pinball Adventures - bright shooter for Android, with a focus on pinball and arcade pitch, which at least is able to interest the player his story, as well as the main character being a part-time, and the main instrument in this very pinball - Japanese flying squirrel. After all the seed of our small, but very brave flying squirrel was stolen by evil and cunning criminals, he had no choice but to fight the forces of evil in an attempt to bring back their friends and relatives. General leader of the bandits as most of owls and will be our most important and dangerous enemy in this battle. And help us to be wise panda, which monitors the balance of forces of good and evil. From here begins our epic adventure. If you start to yawn at the mere word "pinball" and think that so that's the genre you are sure you no surprise, then be sure to try to play this game. You make sure that even a little jaded and forgotten genre can submit a new, interesting and exciting. 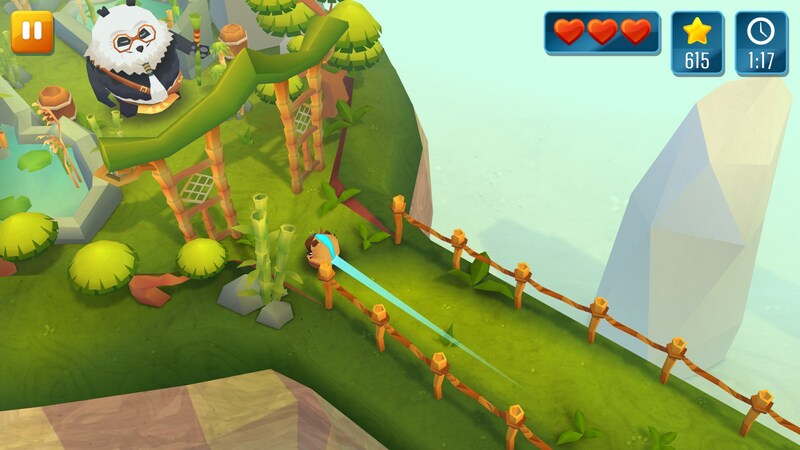 That only is one story in this dynamic arcade game about the last free Asian flying squirrel! So, we have to jump, roll, ride between levels, as well as fly and swim between the clouds, destroying obstacles, getting straight to the point in pinball mode, collecting coins, and doing donuts epic boss battles. Management and it is very simple, intuitive. In the pinball everything is as usual: we run our protein, and then manage only flippers, a kind of legs for fighting off the ball in the form of this same protein. Pressing the left - the movement of the left flipper, right - right, respectively. In this case, you should try to break as many obstacles and collect coins for every nooks and crannies of the new field. A new field, we will get automatically if you get into the sighting window that allows you to move, often by means of a jump or hop. At the same time we get to the point will often get in the way all the same Panda, making strange movements, as if laughing at us, as well as the enemies and obstacles. 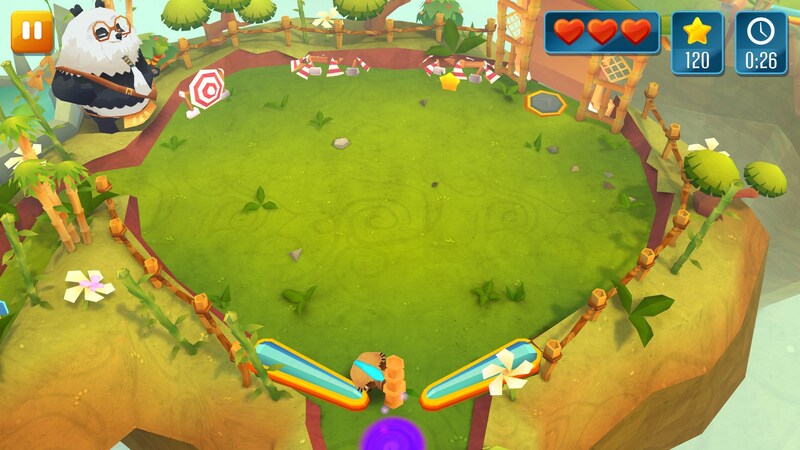 And in flight mode is also nothing complicated: just click on the part of the screen where you want to fly our protein or Pande in the mini games with him. World record table, as well as individual rating among your friends. 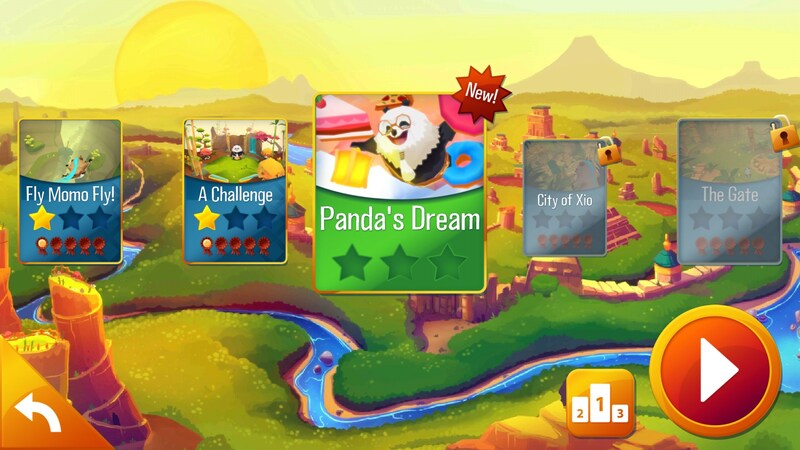 Among the disadvantages can complain about except for the complexity of the control during the flight, as well as the difficulties of earning coins at all stages of gameplay. Believe me, this is not so simple. Anyway, thanks to the dynamic gameplay and originality of combining different genres, sometimes it's hard to keep track of what your job in the next second. However, this advantage, on the other hand. Momonga Pinball Adventures - unique in its kind shooter for Android with a touch of arcade and unlike anything gameplay. It's a breath of fresh air for the game with the main rate for pinball at least due to the fact that it is very interesting to see what's waiting for you at the next corner and the next level. All advise!